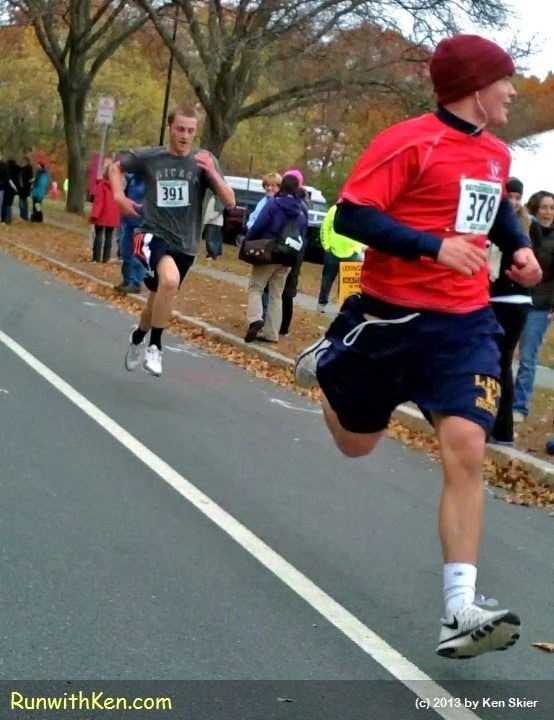 Two runners--with ALL four Feet in the AIR! At the Genesis Battlegreen Run in Lexington, MA. all FOUR of their feet are well off the ground!